A7 envelope is one of the most commonly used sizes, usually wedding cards come in this size. Thus sample A7 envelope template is very useful when you want to send wedding invitation card to someone or throw a corporate party. Now you need not to worry the source to get A7 envelope template because our site represents sample A7 Small Envelope in PDF format. You can choose the size preferred by you and get your work done very easily. This is how; you can focus on some more important things for party other than the invitation envelopes and make invitation even more charming. 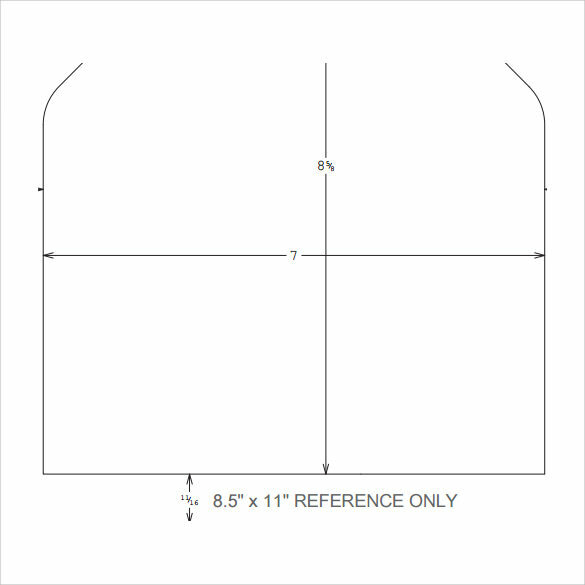 This matching A7 envelope template has a length of 5.25 inches and a breadth of 7.25 inches. It can be printed and then cut and folded to form an actual envelope for post and telegram purposes. All you have to do is print out the template, cut along the solid lines, then fold along the dotted lines, paste the side flaps, fold the bottom flap and press along the side flaps, insert the card, fold the top flap down and finally use a glue stick on the top flap to seal envelope. 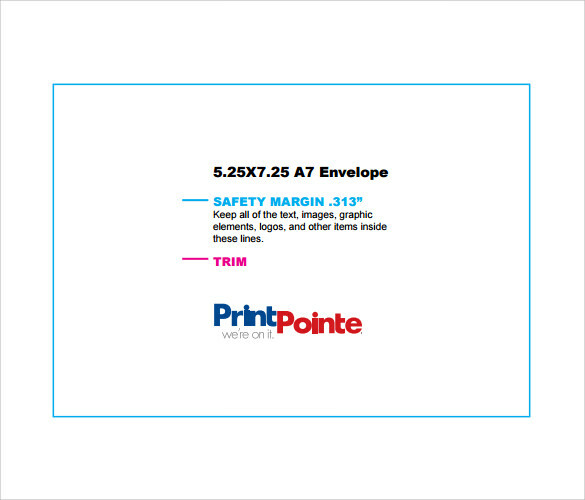 This A7 envelope back template is best suited for when you have printing to be done on the back of the template. The return address is to be printed on the top flap. Nothing is to be put near the edges. The blue lines make a safety margin for the same. Make your document page size large. It is recommended that full bleed art does not go under the flap. 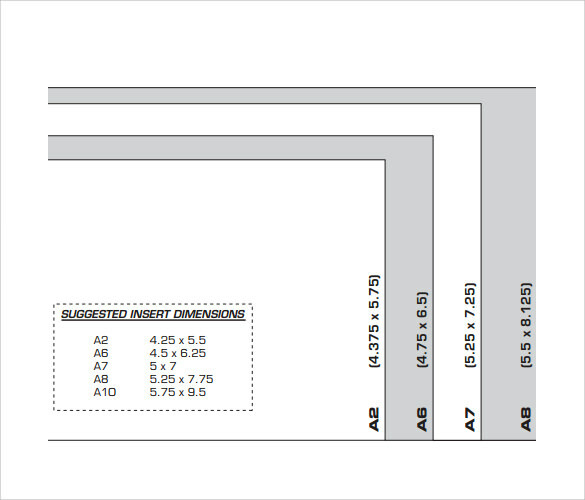 This A7 envelope size chart template shows the different size variations and how they actually look compared to one another. The sizes are A2 – 4.25 x 5.5, A 6 – 4.5 x 6.25, A7 – 5 x 7, A8 – 5.25 x 7.75, A10 – 5.75 x 9.5 respectively. 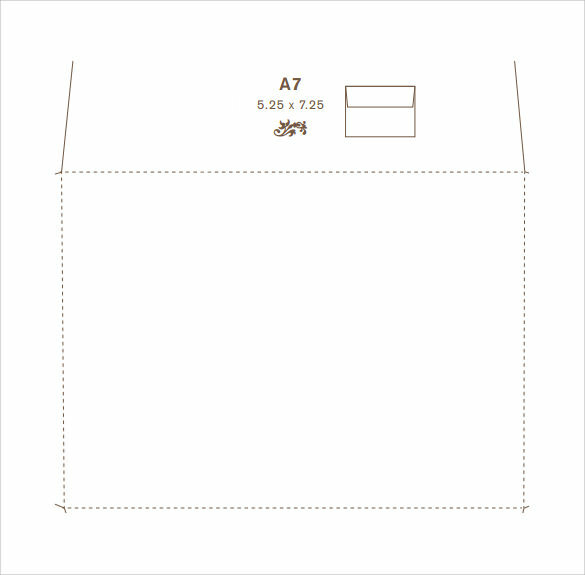 This A7 envelope template, as the name suggests, is a template which includes copy printing on the flap. 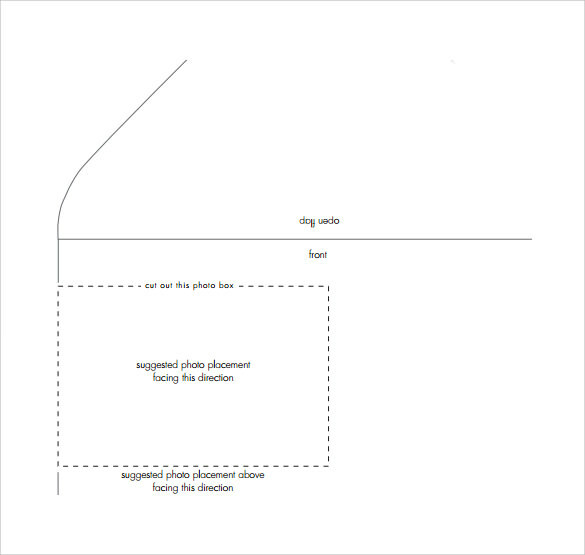 This template can be downloaded, printed and then molded into a real envelope. All you got to do is print out the template, cut along the solid lines, then fold along the dotted lines, paste the side flaps, fold the bottom flap and press along the side flaps, insert the card, fold the top flap down and finally use a glue stick on the top flap to seal envelope. 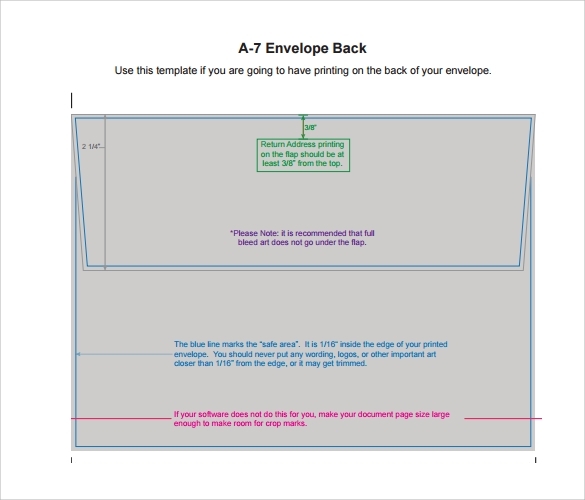 What is an A7 Envelope Template? A2 refers to a specific size or dimension, i.e. 5.25 x 7.25 inches. 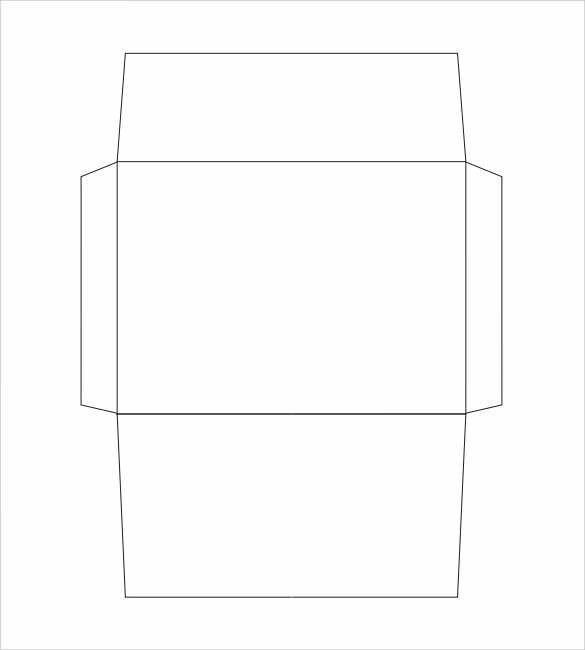 Envelope templates look nothing like traditional templates. Envelop templates are computerized versions of templates. That is they only exist in soft copy and hence don’t have the need to have any specific shape or size. Envelopes are supposed to carry postcards or letters but an envelope template can hardly be distinguished from the postcard or the message it carries. What Are The Benefits Of A7 Envelope Templates? 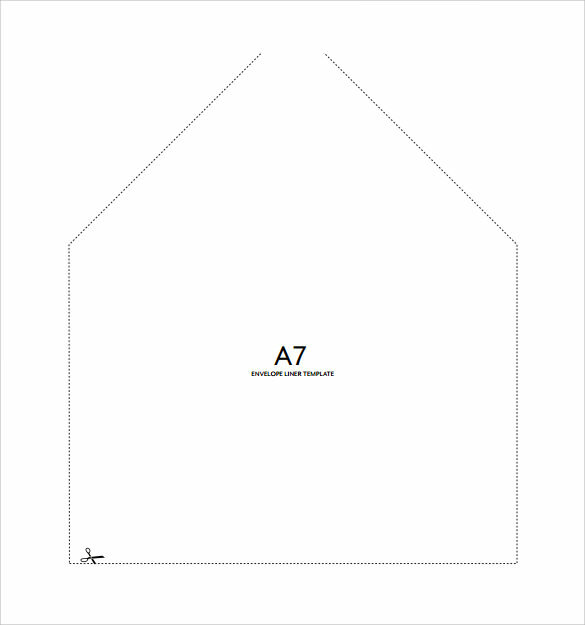 An A7 envelope template is extremely useful in the sense that it can be printed and shaped into a real envelope which can then be used for post and telegram purposes. It is a very cost effective and hassle free way of posting obtaining envelopes, one which does not require you to leave your house either. 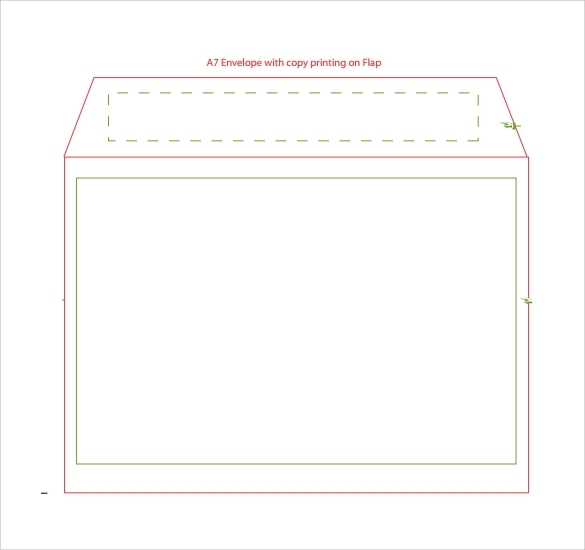 How To Prepare An A7 Envelope Template? In spite of the ease of preparation, it may come across as complicated to most people. For them we have a wide variety of templates to choose from.